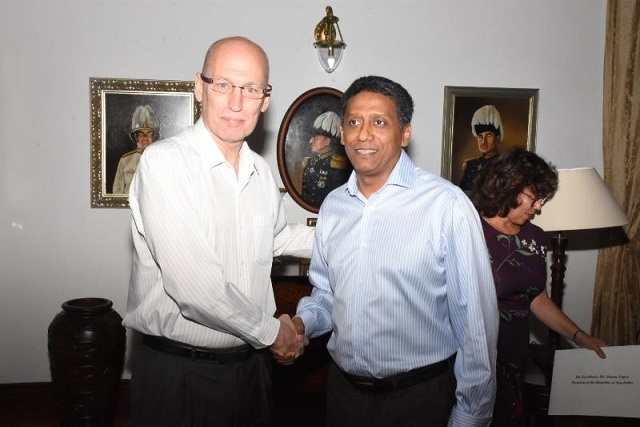 (Seychelles News Agency) - Education and tourism are two potential areas Seychelles and Israel can work together in, said newly accredited Israeli Ambassador on Tuesday. Noah Gendler, the new ambassador of Israel to Seychelles made this statement to the press after presenting his credentials to President Danny Faure at State House, Victoria. 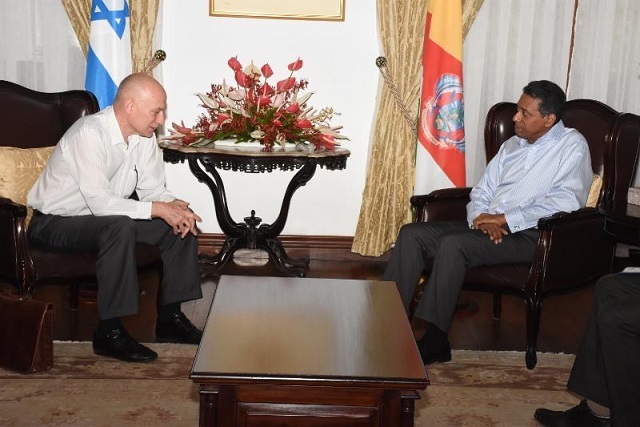 While discussing future cooperation, it was outlined by Gendler that Israel can further help Seychelles in the field of agriculture, innovation and medical services. “Since I am the new ambassador to Seychelles, I do not know very well what your needs are but I know about our capabilities and the secret is to match them together,” he said. Ambassador Gendler is the 8th non-resident ambassador to be accredited to the Seychelles since the establishment of formal diplomatic relations on June 30, 1992. For this purpose, the ambassador suggested having a delegation from Seychelles visit Israel to get the impression of the country and understand the potentials it has to offer. “The team will then come back to Seychelles and define the purposes and solutions and from there, we will send government officials and private sector representatives to cooperate and work together,” said Gendler. Impressed with the 115-island archipelago in the western Indian Ocean, the ambassador said that thought the country is smaller, it has big potentials. Ambassador Gendler succeeds Yahel Vilan and will be based in Nairobi, Kenya.